This is a very simple but useful side dish recipe to have in your repertoire of Mexican recipes. 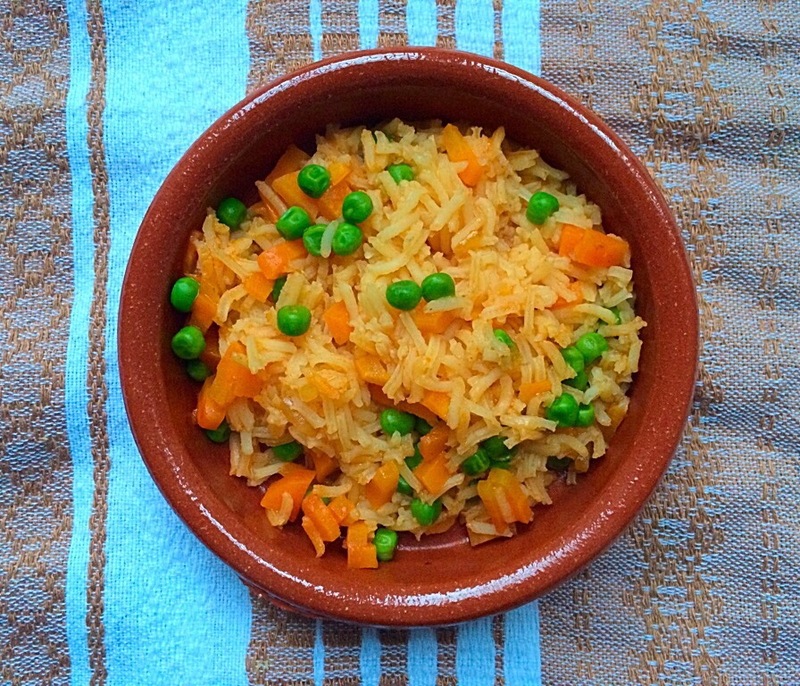 This rice is so delicious and it goes with almost everything. In a blender put the tomatoes, onion, garlic and chicken stock and blend very well, put the sauce aside (add the salt here, if you are using the organic chicken stock, there is no need to add salt anymore). Then in a sauce pan heat the oil at medium heat and add the rice, fry it for 2 min and add the carrot and continue frying for 2 more min and then add the tomato purée and fry for one min and add the tomato stock and low the heat to very low and put the lid on and let it simmer after 10 min add the frozen peas and continue simmer until the water has evaporated. *I usually use basmati rice because I like the consistency when cooks. Thank you. Since I came to live to London , I tried different types of rices and I found basmati the best. I’m here for anything that you need. Have a great day.